We continue to focus on shape innovation in our Family Tree Collection. These are parts of our line where we continue to push what can be done, and boundaries of different types of riding. There is no play-book for designing the annual Family Tree line, every year is a new and different beast. The process starts by listening; to our team riders, our testers, and our customers. This helps us keep a finger on the pulse of styles and trends. There is no shortage of opinion when it comes to snowboard shapes and what we should or should not be developing to progress the sport. Our engineer sifts through the ideas to find nuggets of inspiration that sound like an exciting challenge to design around. After many hours of on-snow testing, some models go through years of testing and redesigns, the shapes that rise above make it into the line. Our lead Board Designer Scott Seward has designed amazing snowboards for everyone – we generally say that if you’ve had an amazing turn on a Burton Snowboard in the past 10 years, then you owe that man a beer. When we set out to create the W20 line, we had a slot open, at the time we were calling it ”New Family Tree Shape #4” – when talking about what kind of shape to develop, I said to Scott – “Scott, You Do You.” and gave him a chance to create something that was inspired by, designed by, and for Scott Seward. Thus the Hometown Hero was born. This board features a unique glass make-up which creates a stiff/responsive nose/tail and soft playful center and is inspired by a hard charging Vermonter named Scott! Pow Surfing is being revered as the new & old way to ride. No bindings. 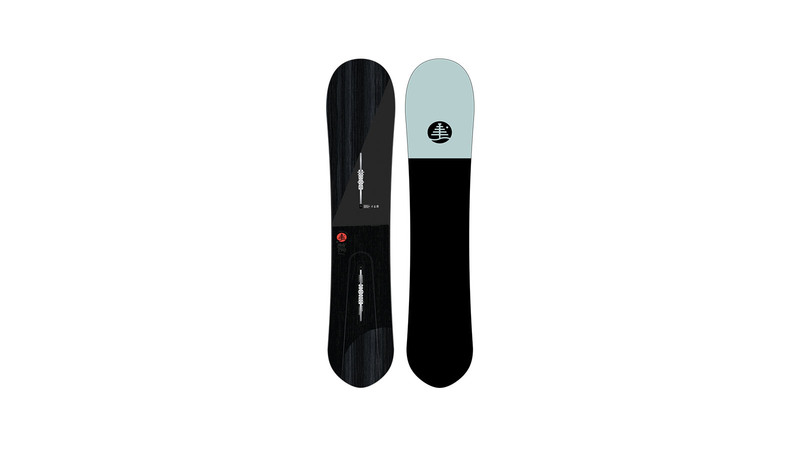 We created a Pow Surf called the Backseat Driver using standard snowboard construction with surf inspiration. We decided to look at the entire thing from a different angle and create something with standard surfboard construction built for “snowboarding” — The Resonator. This super unique project was conducted with Varial Surfboards, and their Infused Glass technique that is extremely strong & lightweight. This was the brainchild of JG – who I am convinced just wants to surf, but unfortunately lives in Vermont where we don’t have an ocean. We did a limited 30 QTY launch in January 2019, and will bring it back in small quantities in W20, partnering with key dealers throughout the globe. The Moon Buggy was inspired by the big surfboard style riding of Japan. This board was initially called the Big Kahuna for the huge size of 168, and it’s meant to surf big snow waves. We worked with Japanese legends Masa & Beru to create a maneuverable big board, which can give you a true long board surf style. This board features an internal swallow tail for more control on the backfoot of this giant beast. 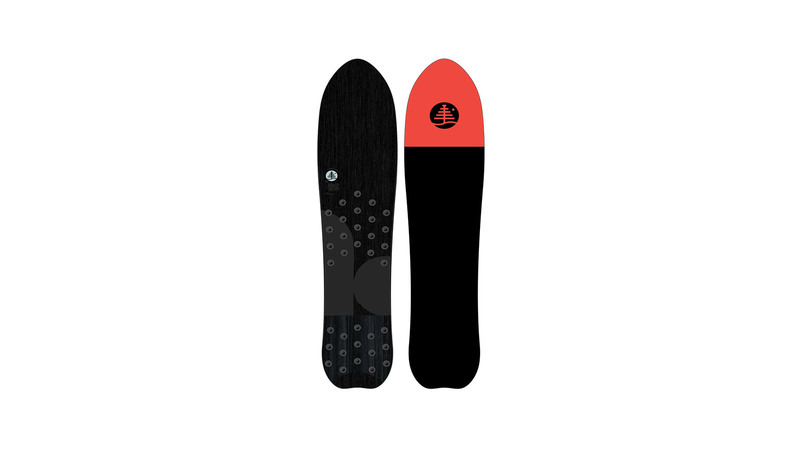 This board features Directional Camber, Internal Swallow Tail, and will come in a 168 & 158. We use a 2-party epoxy-resin/hardner mixture to cure our boards – Super Sap (epoxy) & ReRez (hardner). When we combine these materials, we are not only getting a 50% reduction in carbon footprint from the biobased SuperSap, but the ReRez allows us to have an almost zero waste manufacturing process thanks to a material deconstruction. Simply put, it allows us to deconstruct the scraps left over from shaping, sort them and then return the production waste materials to the recycling stream to be re-used in other products. We continue to use ReRez at our Craig’s Prototype Facility and have intentions to push this into full production in our other factories. Starting in 2020, we have removed the lacquering stage from the finishing process of all snowboards in order to eliminate the negative environmental and human health effects of the high VOC content (volatile organic compounds) found in traditional snowboard lacquers. We focused maintaining a high-quality premium finish, while removing that nasty lacquer. At Burton Snowboards, we leverage a global supply chain to build all of our snowboards up to the highest standards. The ride of our snowboards is paramount and we have been partnered with incredible, long–standing Snowboard factories across the globe that continue to work towards elevating our level of quality and driving new capabilities and innovation. As of 2018 we are working with four major global manufacturers that all work together to complement one another and ensure that we can produce everything we need around the globe. These are the best snowboard factories in the world and they are committed to producing Burton snowboards that live up to our rigorous standards for quality and sustainability. We pride ourselves on providing quality product at all price points, for all riders. We see different regions trending towards different price points, as well as types of riding. The end goal is to provide the customer with exactly what they are looking for from their product, at the right price point. Every year we continue to see excitement in the market around unique shapes. We always focus on creating something different & “out there” in our Family Tree & Kilroy collections. Boards are built around the idea of team riders and terrain, guiding what we can do and where we can go. This year’s Family Tree is no different – with unique boards like the Moon Buggy & Resonator, and All mountain rippers like the One Hitter & Hometown Hero. We work closely with the global Kilroy team riders to create unique and fun shapes so that they are anxious to slay in the park – and have added a new dimension with the Kilroy 3D, which features 3D contours in the Nose/Tail for a catch free ride in butters on snow and on rails. We don’t anticipate the shift in these shape trends – and promise to continue to develop new and exciting shapes in the future! We set out each season to “Make Awesome” – and for the past few seasons, we feel that we’ve been achieving just that. Our goal for the W20 season was to create a more confident & consistent voice and point of view for each model. You can see this in the identity of models like the Custom, Yeasayer, Feelgood, & Flight Attendant – each season building upon where they were, but updating it to create something totally fresh and new. We wanted to focus on creating meaningful & memorable graphics, something more than just a pretty pattern. There is a story behind each and every board, an idea, an artist, a personality. We want to continue to set Burton apart from the competitors, and build a strong, sellable, unique, and badass line. You will see stories focused around riders and the product they ride. Every snowboarder has a unique perspective, goal, and reason why they snowboard. 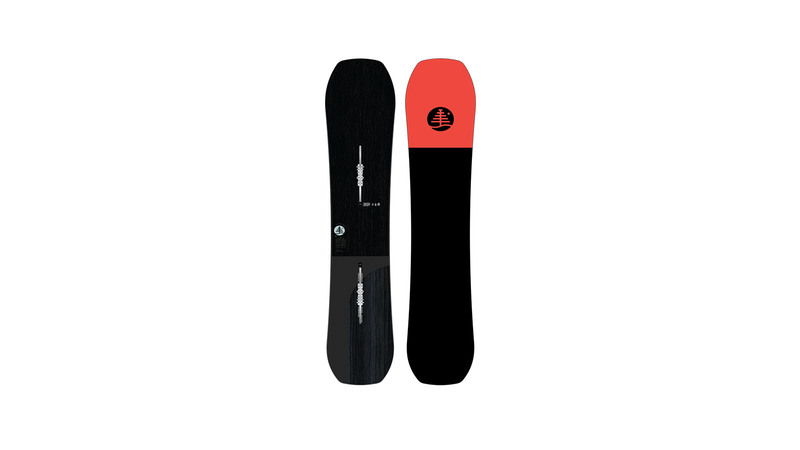 For W20 we are focusing on these unique stories, pulling back the curtain on their “WHY” and why Burton boards are the best for them.